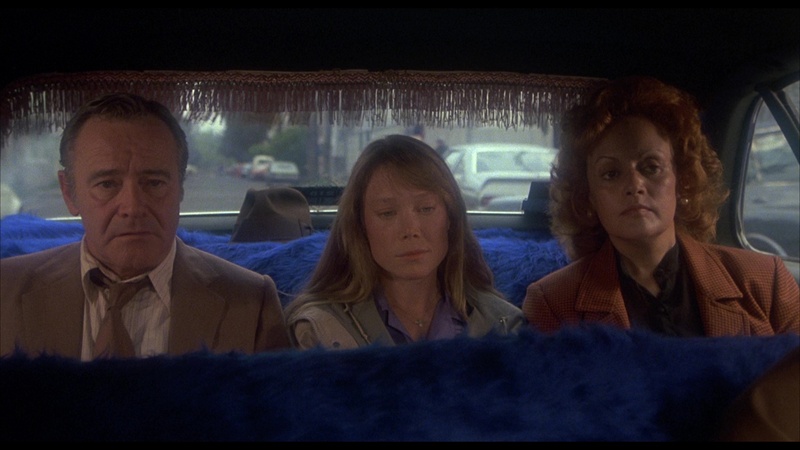 Color, 1982, 122 mins. 31 secs. Following his third and most internationally successful film, the 1969 political thriller Z, Greek-born flmmaker Costa-Gavras spent the following decade tackling any number of sensitive topics and prodding western sensibilities about governmental abuse. However, it was only with 1982’s Missing that he really hit a raw nerve again and scored a major success, earning a publicized response from the U.S. State Department just before the film’s release, nabbing multiple Oscar nominations and winning one for its screenplay, and even falling afoul of a lawsuit that kept it out of circulation for a few years. Both a gripping thriller in its own right and a scathing condemnation of the Pinochet regime in Chile, it’s a film that continues to chill and resonate all too effectively. After the overthrow of the (unnamed but obviously Chilean) government in 1973, American businessman Ed Horman (Lemmon) arrives to look into the disappearance of his politically outspoken writer son, Charles (Shea), whose wife, Beth (Spacek), has been getting nowhere with local authorities. Together they embark on a path involving the U.S. embassy and local police forces with all signs pointing to Charles’s murder, though the exact nature of the American government’s role in the alarming number of missing people soon comes to upend the world view of Ed and his railing against his son's "anti-establishment" activities. A film designed to poke the bear right from the outset, Missing was heavily publicized as a true story and was based on Thomas Hauser's 1978 book, The Execution of Charles Horman: An American Sacrifice, which was republished as Missing to tie in with the film. Several names were changed ostensibly to protect the real people, though anyone with an interest had no trouble figuring out who they were. Interestingly, the film doesn't shy away at all from implicating real Americans in the tragic scenario, with even Henry Kissinger getting slammed in the closing moments. 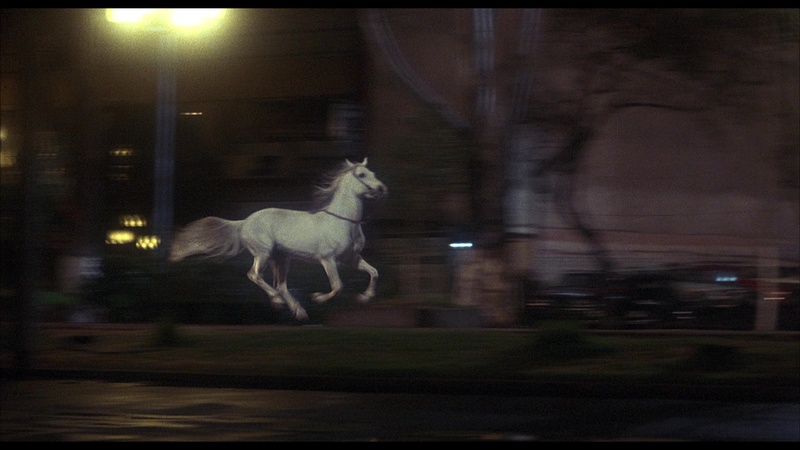 Once again Costa-Gavras displays a sure hand at mingling disturbing political content with assured thriller filmmaking, sprinkling the film with haunting images like a runaway white horse charging through the night streets or a chilling sequence involving dozens of unidentified dead bodies. 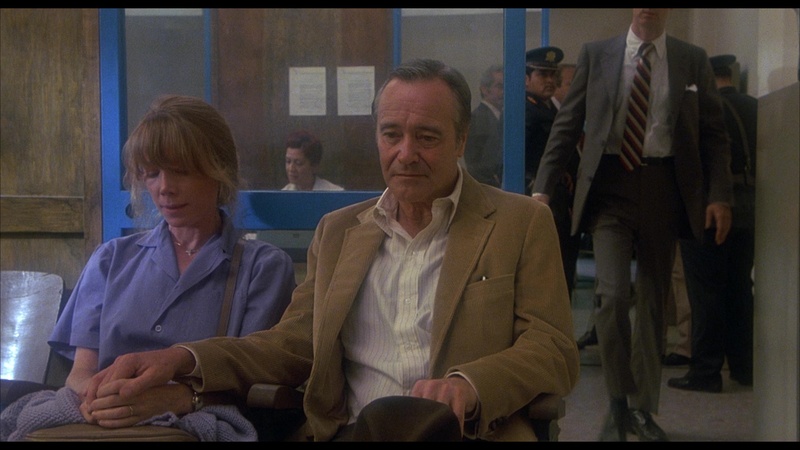 Both Spacek and Lemmon are excellent and anchor the film with an effective chemistry that evolves from understated hostility to a state of shared trauma, with the rest of the cast filling out its far less demanding roles authentically as well. Also noteworthy is the effective music score by Vangelis, hot off of his Oscar win for Chariots of Fire. Unfortunately this would join the list of far too many of the composer's score that have yet to receive an official release apart from the main theme, which has popped up on a handful of compilations and a vinyl 45 single. Kept off of the home video market for several years due to an unsuccessful defamation lawsuit, Missing made its DVD debut in a no-frills 2004 release from Universal that was soon rendered obsolete by Criteron's two-disc DVD edition in 2008. 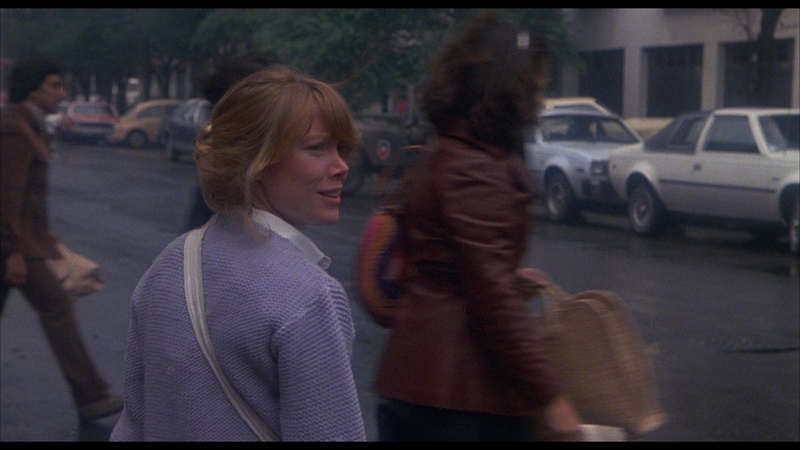 Extras in that release include video interviews with Costa-Gavras (32m29s), Joyce Horman (who's portrayed by Spacek) (30m19s), producers Edward and Mildred Lewis and Sean Daniel, and Hauser (17m27s). A reel of press interviews from the 1982 Cannes Film Festival (19m22s) features Costa-Gavras, Lemmon, and the real Ed and Joyce Horman. The Pinochet File author Peter Kornbluh contributes a look at the circumstances surrounding the 1973 Pinochet coup (19m28s), and a highlight reel (20m50s) covers a salute to the film by the Charles Horman Truth Project in 2002 with Spacek, Shea, and Mayron among the attendees. 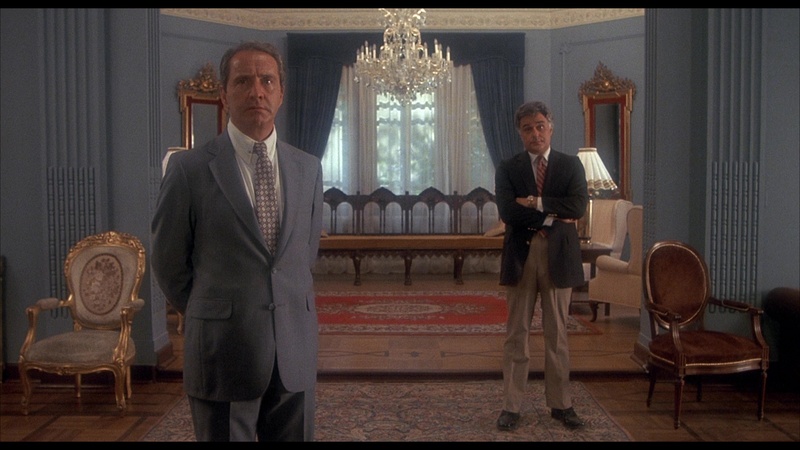 The theatrical trailer rounds out the set, which is packaged with an insert booklet containing new liner notes by Michael Wood, a letter from Horman family friend Terry Simon, a Costa-Gavras interview, and the U.S. State Department's official response to the film in 1982. MIssing would go on to make its Blu-ray debut in a 2016 French set, Costa-Gavras - Intégrale vol. 1 / 1965-1983, packaged along with such other milestones as Z, The Sleeping Car Murders, State of Siege, and his highly controversial Hanna K., which has been out of circulation in the U.S for decades. That release didn't contain any English-friendly extras, so you're far better off going for the 2018 Indicator Blu-ray in the U.K. The HD overhaul here looks splendid, maintaining the somewhat grainy and rough-hewn texture of the film as seen in theaters while still featuring an admirable sense of depth and color richness. The LPCM English mono audio is also in perfect shape, with optional English SDH subtitles included. The film can also be played with a pair of The Guardian Interview audio tracks, the first with Costa-Gavras recorded in 1984 in conversation with Derek Malcolm at London’s National Film Theatre. It's a great overview of his career starting with his early transition to France (where he studied at the Sorbonne) and his entry in moviemaking with the aid of supporting stars like Yves Montand. He talks about this particular film quite a bit, and his comments about Ed Horman are especially interesting as well as his thoughts on movie stars expressing their political beliefs. 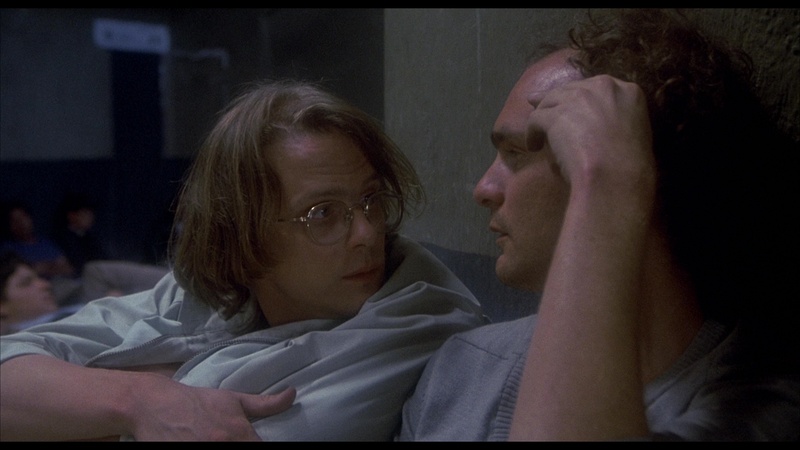 The other track features Lemmon recorded in 1986 with Jonathan Miller, essentially functioning as a sequel to the 1973 one with the actor featured on Indicator's Blu-ray of The China Syndrome. It's quite an interesting master class in acting technique as he dives into his own techniques, his insecurities, the nature of why people act, and his love for stage work, among lots of other subjects. On the video side you get a quick Costa-Gavras interview from Cannes (3m10s) including comments about that white horse and thoughts on Vietnam, a Journal Antenne 2 (3m30s) TV interview with him from the same year with Christine Ockrent, while 2006's "Many Americas" (30m59s) with the director is more of a retrospective look at how he first encountered the book, cast the film (with Ed Asner approached at one point), developed the screenplay, and developed techniques to guide the actors. (It's interesting to see clips of the film dubbed in French with subtitles, too.) Joyce Horman appears for 2006's "Freedom of Information" (27m22s) with an in-depth account of how she and her husband ended up in Chile, why her name was changed for the film, and what kind of communication she had with Costa-Gavras before, during, and after the shoot. She also offers what was an update at the time on the ongoing investigation into the case, which eventually would go on to provide some surprising information that alters the tone of the end of this film. Finally, the new "Politically Personal" (24m14s) has director-actor Keith Gordon appraising the film's status as a brave political statement in Hollywood when such efforts are all too rare. If you've never seen the film and have little context for the time period it's depicting, you may want to watch this first as he offers some excellent context for the attitudes at the time towards the young and the split that the Vietnam War had created. Also included are the trailer, a gallery of posters and stills, and another superb booklet (only in the limited 3,000-unit first edition) featuring new liner notes by Michael Pattison, text interviews with Costa-Gavras and Hauser, and archival reviews from the initial release. Reviewed on September 16, 2018.